I’ve been dreaming up these cupcakes for a very long time, and it’s only fitting that I’m finally sharing them the week before Labor Day weekend for all of you gearing up to celebrate the last sweet days of summer! 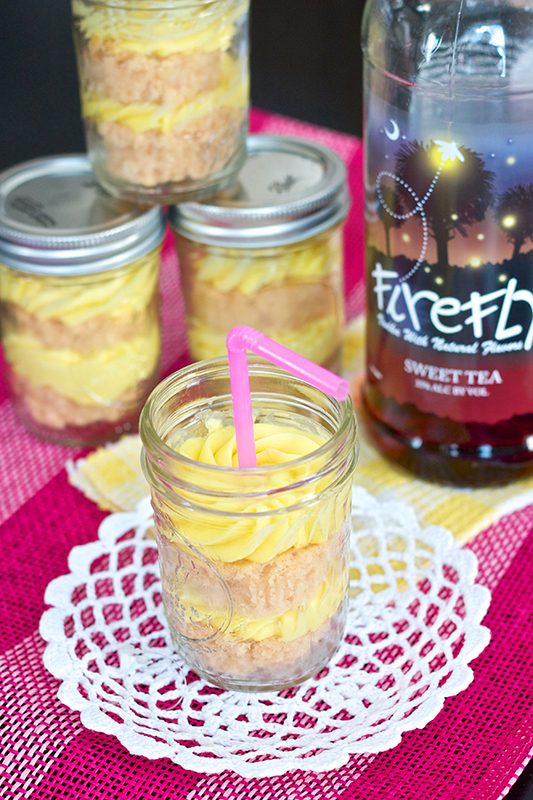 Have you ever tried Firefly Sweet Tea vodka? I think I discovered it during my senior year of college and have had plenty a fun night with this delicious liquor at the forefront :) It can be a very dangerous vodka because the alcohol taste is masked by the sweet tea flavor and mixes so well with lemonade like the classic Arnold Palmer combination. Since my pink lemonade cupcakes have been such a hit, and because I know how much you all love boozy treats, this combo was destined to come out of my oven sooner or later. Can’t say no to an adorable, delicious, boozy cupcake with a straw stuck in it on Labor Day, so bottom’s up! Since Firefly reminds me of fun times in college in North Carolina (Go Blue Devils!) and is made in South Carolina, I decided to go all out and embrace its Southern roots and serve them in rustic mason jars. 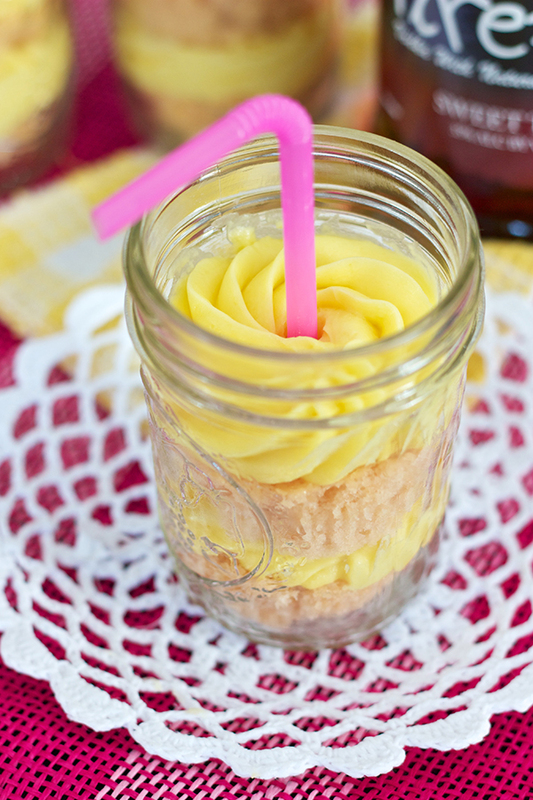 The half-pint regular mouth mason jars fit standard cupcakes perfectly and are tall enough to allow generous swirls of frosting as well. I shared these with friends a few weeks ago at a rooftop BBQ, and I loved the fact that I could screw the tops on and easily transport them uptown without any worry of messing up the frosting. 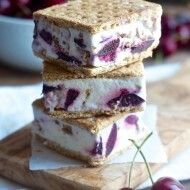 These flavors and their presentation are perfect if you’re traveling this holiday weekend and want to serve a fun treat that epitomizes summer living. And then of course you’ll have leftover vodka to enjoy after dessert! This recipe is for my new favorite vanilla cupcakes, just spiked with some sweet tea vodka and iced tea drink powder that gives the cake a great hint of sweet tea without being overwhelming. I brushed the tops with more sweet tea vodka when they came out of the oven to ensure the flavor didn’t all bake out, and this also kept the cupcakes nice and moist. The frosting is a remix of this whipped vanilla frosting made with lemonade powder and some fresh lemon juice too. It’s a fluffy buttercream with the perfect amount of tartness and sweetness, especially if you’re someone who loves lemon like I do. Have a great Labor Day weekend and pick up a bottle of Firefly if you’re looking for some tasty drinks and even tastier cupcakes! Preheat the oven to 350 degrees and line 30 cupcake wells with paper liners. In a large bowl, whisk together the cake flour, baking powder, and salt. In the bowl of an electric mixer, beat the butter on medium-high speed until light yellow and creamy, about 2-3 minutes. Add the sugar to the butter, 1/4 cup at a time and beating well after each addition. Mix in the eggs one at a time and scrape down the sides after each addition. In a liquid measuring cup, combine the buttermilk, vanilla, iced tea powder, and vodka and stir until well combined. With the mixer on low speed, alternate adding the dry and wet ingredients, beginning and ending with the dry and mixing until just incorporated. Divide the batter among the paper liners, filling each about 2/3 of the way full. Bake for 18-22 minutes, or until a cake tester comes out clean. 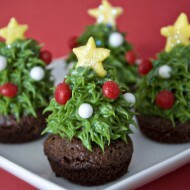 Once baked, allow them to cool in the pans for 5 minutes and then use a fork to poke holes in the top of each cupcake. 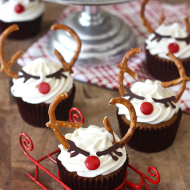 Brush some sweet tea vodka on the top of each cupcake, then transfer to a cooling rack to cool completely. In the bowl of an electric mixer fitted with the whisk attachment, whip the butter on medium-high speed until smooth, about 1-2 minutes. Add the confectioners' sugar and mix on medium-low speed until incorporated. Sprinkle in the powdered drink mix and beat well. With the mixer on low speed, add the heavy cream, vanilla extract, and lemon juice and mix until just incorporated. If you're using yellow food coloring, add a few drops now. 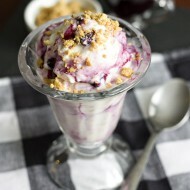 Increase the mixer speed to high and whip until light and fluffy for about 4-5 minutes. 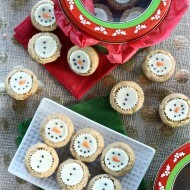 Unwrap the cooled cupcakes and place one in the bottom of each mason jar. 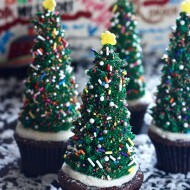 Load the frosting into a piping bag fit with a large star tip and pipe a swirl on top of each cupcake. Layer on another cupcake and add another swirl. Either present them with straws, or screw the tops on to bring them to your Labor Day BBQ! 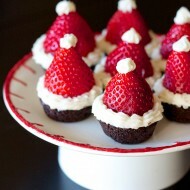 These are uber cute. 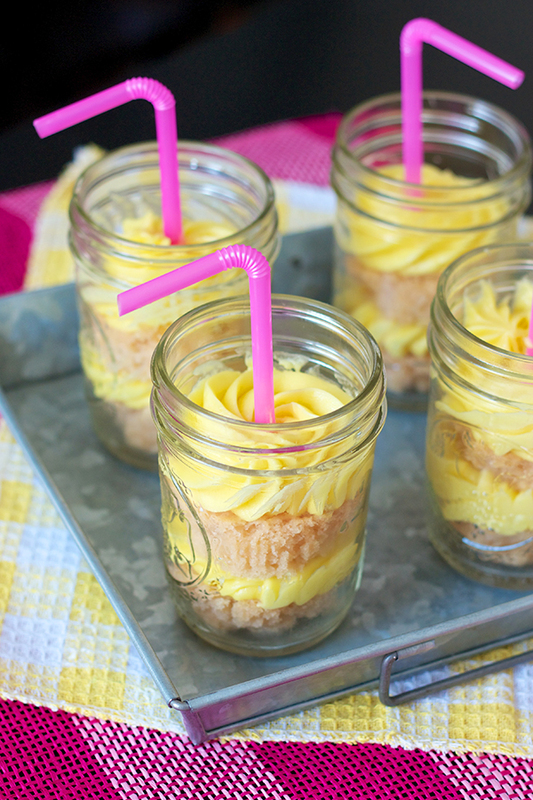 I love that you styled them in a mason jar. I love that vodka, but it’s dangerous. 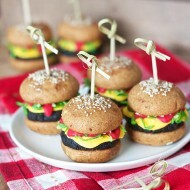 Oh my goodness, those sound delicious! Sweet tea and lemonade together are awesome, make it into a cupcake and add alcohol, how can you go wrong? In the instructions for the cake you say to add vanilla, but it’s not listed in the cake ingredients. How much vanilla goes in the cake batter? Thanks! 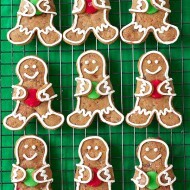 I’m making them now on this snowy rainy day for my sisters birthday tomorrow! just made these to celebrate a friend’s 30th birthday. love them! Sorry, can I half this recipe?